How do we turn growth into an opportunity for place-making? The roundtable will be held at Sir Terry’s home at Great Maytham, Rolvenden, Kent; a Grade 2 Listed house designed by Sir Edwin Lutyens. There will be an opportunity for a tour of the house and to hear about plans for Great Maytham. The South East of England is by far the most economically dynamic and successful part of the country. It is the UK’s only global super-region; the Greater South East drives the UK economy. Kent plays a key part in this success story. It is the UK’s front door and over the last 30 years has seen major change. Billions of pounds have been invested in the county’s infrastructure, including £5billion on the UK’s only High Speed rail line. Its population is projected to grow by more than 10% from 1.45 million to around 1.62 million in 2021. The South East’s share of UK GDP has increased from 15% to 25% since 1950 and unemployment in the South East is 5% compared with the national average of 8%. 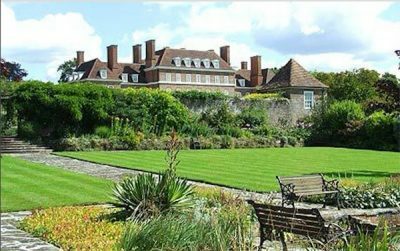 At the same time, Kent is one of best-known and most cherished parts of the UK, recognisable around the world by its location and character as the ‘Garden of England’. So how do we grow communities in the Garden of England? Too often our existing towns and villages are littered with perfectly sound but disused existing buildings and open car parks on vacant gaps sites scar our town centres. Meanwhile, introverted and anonymous cul-de-sac developments continue to sprawl at the edges of these same towns and villages. Will the pressure to build inevitably mean the gradual homogenisation of Kent by volume house builders? Or, can the character and personality of its existing communities be maintained – and indeed reinforced – by careful and proactive planning? If our communities are to be truly sustainable, the issue of growth needs to include a discussion about the re-use of derelict existing buildings and vacant gaps sites, and making our existing housing stock fit for purpose. Might legislation be re-directed towards incentivisation of re-use and intensification of our town centres in balance with new housing growth? This roundtable will explore ways in which we might turn the issue of growth into an opportunity for place-making and available to Kent Design Members only. If you would like to know more about becoming a member of Kent Design – click here.